Homeowners interested in buying quality apartments in Noida can have a look at Sikka Karnam Greens. As the name suggests, the residential complex brings you an astounding living infrastructure, surrounded by greenery. If you have a fascination for green living facilities, you can get a home in this residential complex. The demand for property in Noida has been increasing over the years, primarily due to the enriched social infrastructure and commercial developments in the area. The residential complex has been developed in Sector 143(B), which ensures a good connectivity to the rest of the city as well as the surrounding areas. Investors from different parts of the country are interested in acquiring a home in this residential complex. The apartments are loaded with amenities and you will love the environment when you get an apartment here. 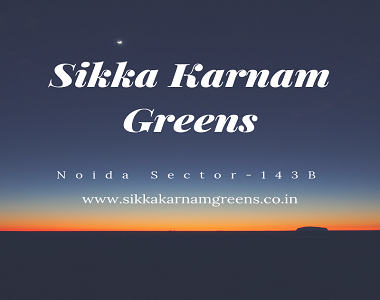 The Sikka Karnam Greens price is likely to escalate in the coming months, as the demand for property in Noida has been on the rise. For investors, this is the right time to get a home here. The location advantage of the residential complex will be one of the key benefits for the residents, once the project is completed. It is located close to the Faridabad-Noida-Ghaziabad (FNG) Expressway Noida Expressway, which ensures a fast access to the nearby areas from the estate. The apartments are luxurious and the floor plan has been carefully made, ensuring the availability of optimum open space for the residents. Noida has been among one of the fastest growing residential areas of the country. A large number of IT firms and corporate companies have come up in the city. This has increased the employment opportunities in Noida. The corporate employees are looking for quality apartments. The location advantage of the residential complex ensures a fast connectivity to the important commercial zones in the complex. Besides, the residents can also enjoy the seamless connectivity to the important places of recreation and entertainment from these apartments. A large number of bars, restaurants, theatres, shopping malls and multiplexes are located near the estate. You can easily get across to these places through the well-developed transportation system in the city. Several reputed schools are located in close proximity of the residential complex. The residents can also enjoy a fast and easy access to the recognized hospitals in Noida. The enriched social infrastructure is one of the most compelling reasons, that make homeowners get their apartments in this area. The residential complex will be having optimal security measures. The common spaces will be fitted with CCTV cameras for 24/7 scrutiny. The residents can enjoy uninterrupted power and water supply in their apartments. Besides, they can enjoy the wide range of amenities in the residential complex. The health and fitness enthusiasts can enjoy a good time here, as the complex will be having an advanced gym, swimming pool and provisions of various indoor and outdoor games. You can also spend your leisure hours in the clubhouse. 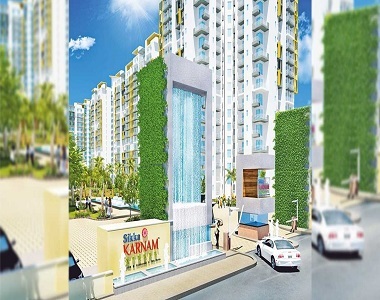 If you are interested in buying a quality apartment in Sikka Karnam Greens Noida, you can book your property now. Enjoy the luxury and elegance that the residential complex brings you. 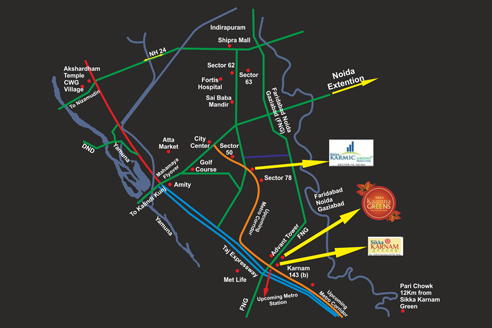 Located at Sec-143B, Expressway, Noida.